Life Music Laughter: They're Back, Pitches! Pitch Perfect 2 Reveals Trailer. 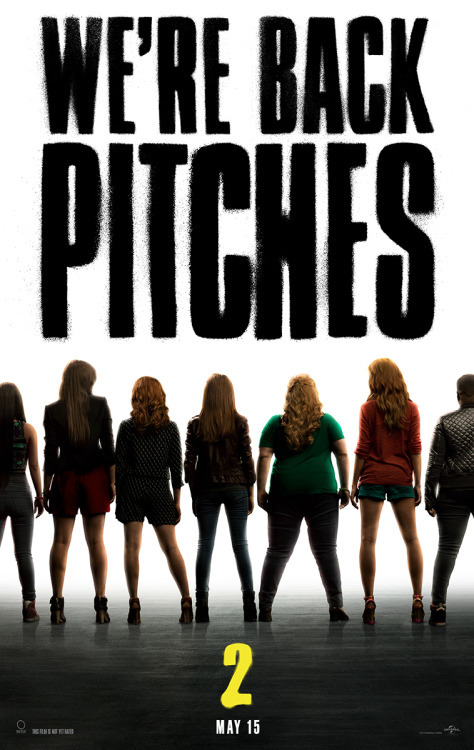 They're Back, Pitches! Pitch Perfect 2 Reveals Trailer. Pitch Perfect 2 has just released the trailer for the sequel to 2012's hit movie, Pitch Perfect. The girls are back for an international competition. It looks like it will be more good fun with laughs from Rebel Wilson, and heart warming friendship moments, and of course, lots of great sing-offs. What do you think? Are you excited about this sequel? My daughter loved the first one! Thanks for letting me know about part two. I'll let her know. I never saw the first one but have been seeing all of the buzz going on about this announcement. I'm actually personal friends with Brittany Snow's mother and know all about it though. Looks great! I loved the first one and can't wait to see this one! So much fun! I have to admit, I loved the first movie way more than I expected and I'm totally looking forward to the sequel! !